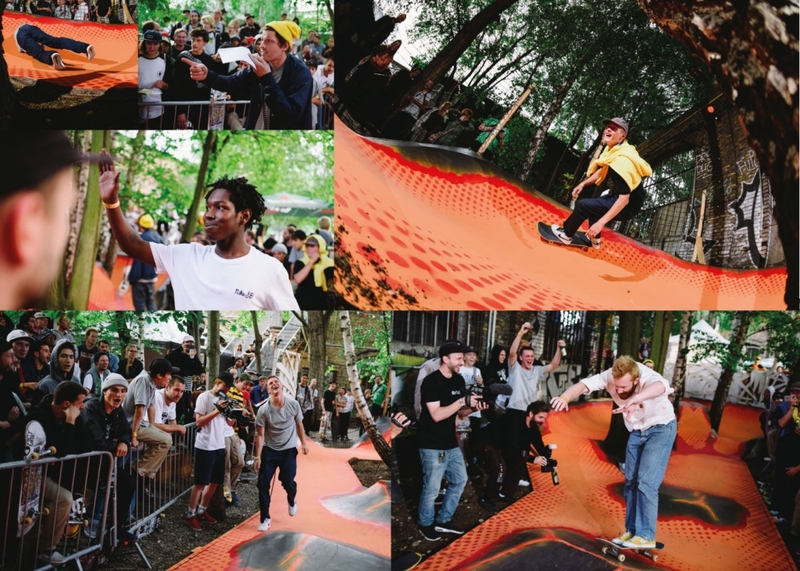 In 2015 Nike SB asked me to go and paint a new “pump track” that Lennie Burmeister had built through some trees out side the Shelter in Berlin. 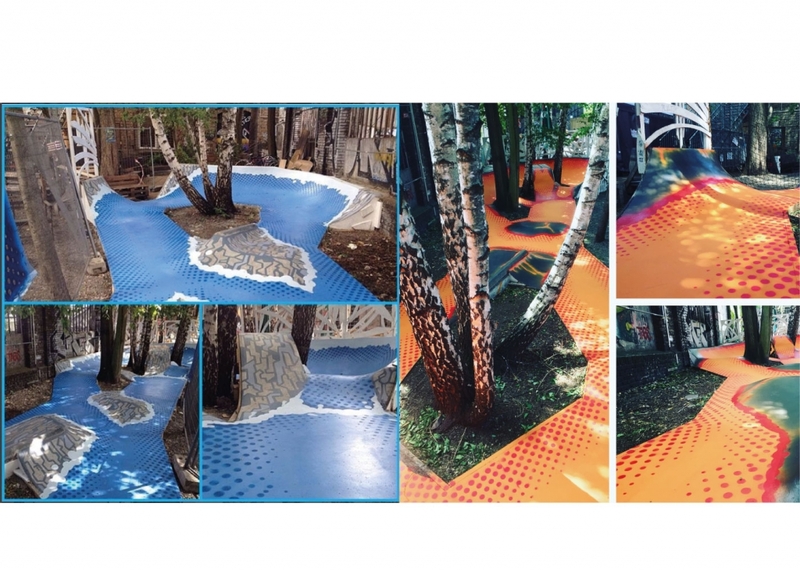 I came up with a design and transformed the concrete track into a river rapid flowing through the trees. The track was used for races in the Nike Sb, Berlin Open contest. In 2016 I returned to Berlin to update the design for the following year’s event. This time painting the course as a river of volcanic lava.